So when I heard of this new place in Section 17, I was really eager to try it out and immediately told Guan Ren about it. Sure enough, we were there for dinner & of course, pie. 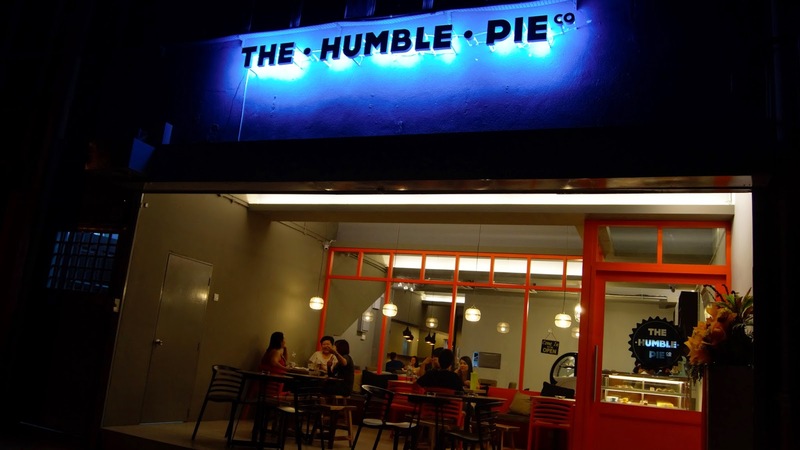 The Humble Pie Co is located at the oh-parking-sangat-susah Section 17, same row as the infamous Kanna Curry House, and The Grind Burger Bar. 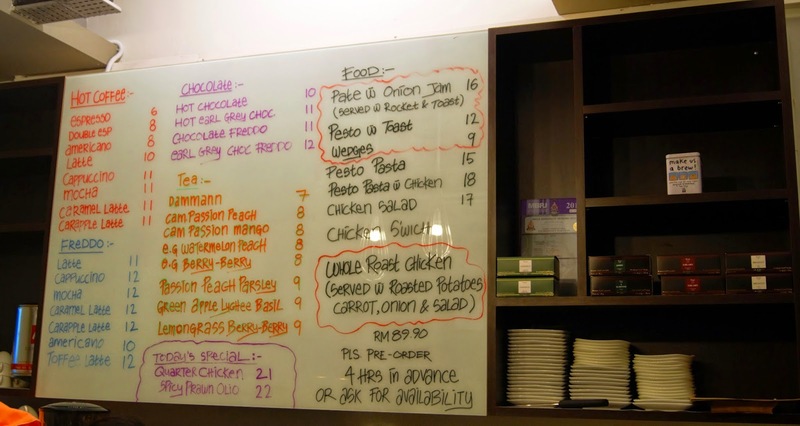 There's an el-fresco dining area and also an indoor, fully air-conditioned indoor dining area. We opted for the indoor area because smoking is allowed outdoors. 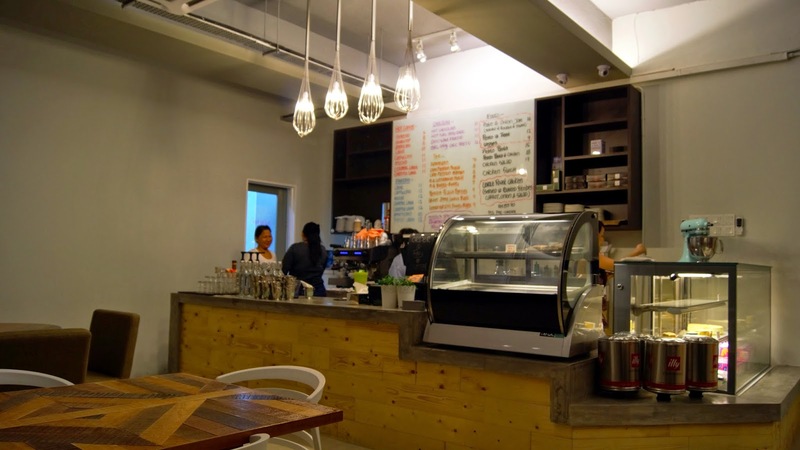 The interior was fairly simple- simple plain white wall, oak wood tables & white chairs, with comfy cushions on it. The El-Fresco area had a more vibrant look with the orange frame separator and the contrasting colour pillow. 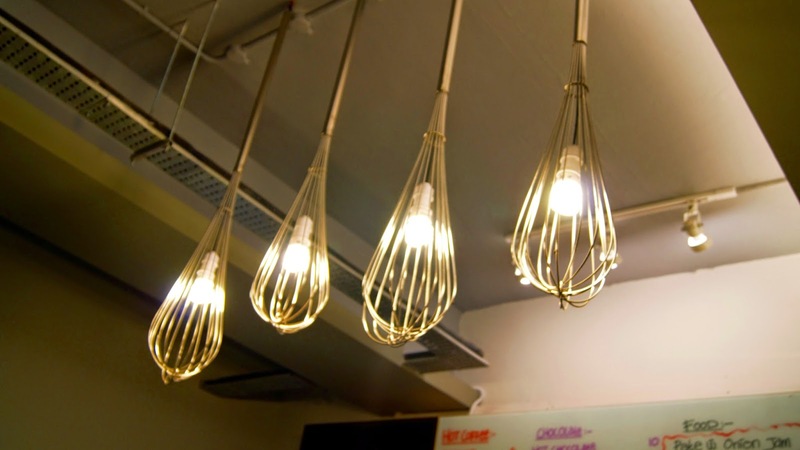 Not to forger, the few quirky addition of these whisk-shape light bulb . It was love at first sight. I just knew it was. When we first stepped into The Humble Pie, the Banoffee Pies (which, ahem, was our main agenda) was no where to be seen. 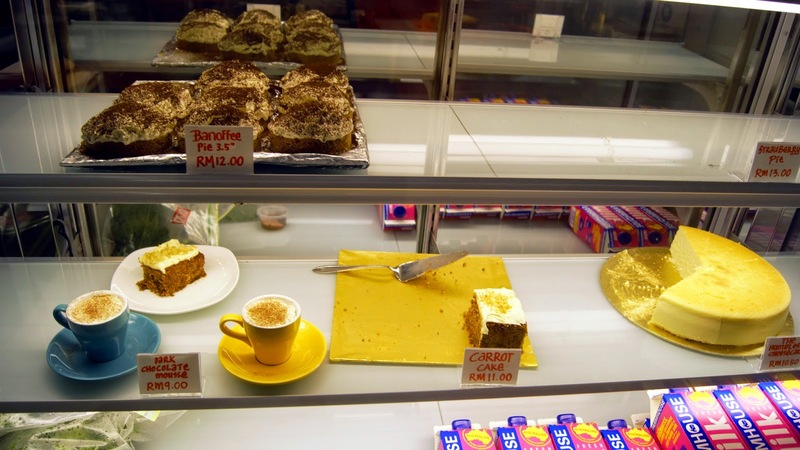 Only Duffee Pie (Durian+Toffee) was available. 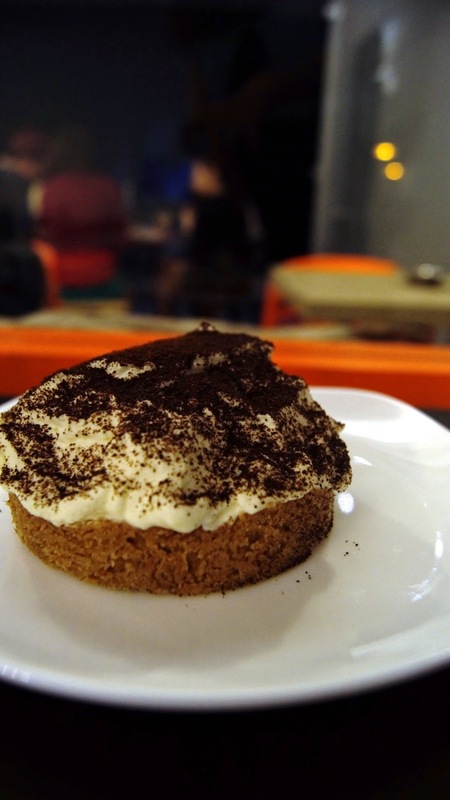 Luckily for us, a fresh batch of Banoffee Pie was shipped out of the kitchen. Luck was certainly on our side! 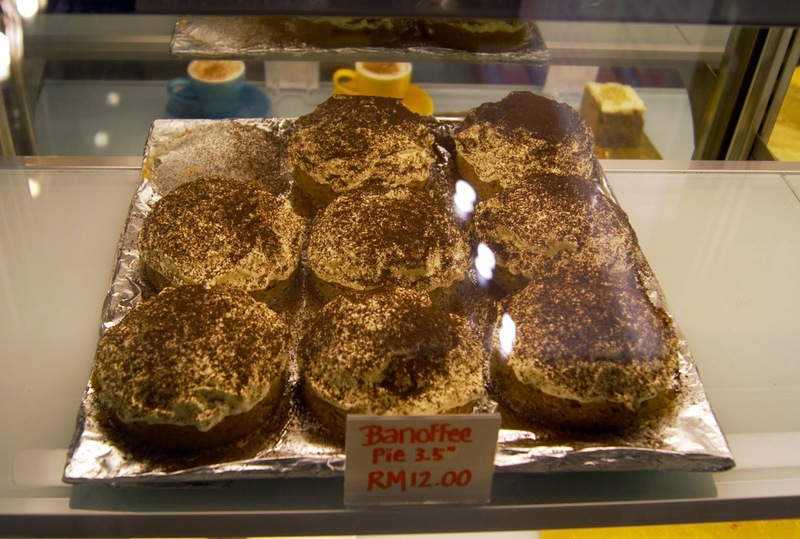 The Banoffee Pie seems to be their hot selling items, as it was going like hot cakes! One by one, being snap up by customers walking in. I'd tried Earl Grey Chocolate in another cafe once, and since then my impression towards Earl Grey Chocolate is just plain bad. 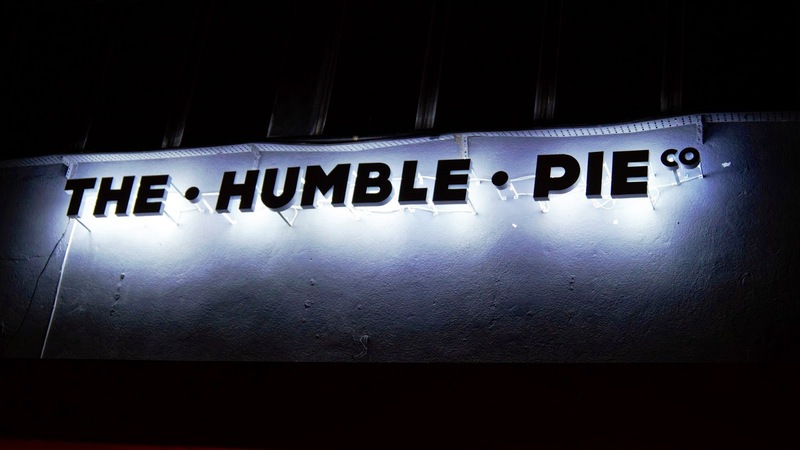 But The Humble Pie Co turned that around. 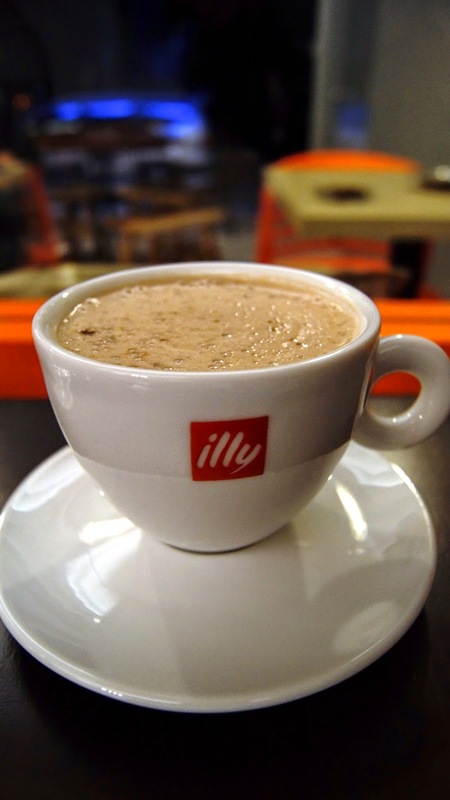 This cup of Earl Grey Chocolate was simply the best chocolate drink I've ever tried. No kidding. The Earl Grey chocolate has an aromatic Earl Grey scent that was sweet and memorable, it blended in so well with the rich chocolate taste. A perfect chocolate drink. Recommended! 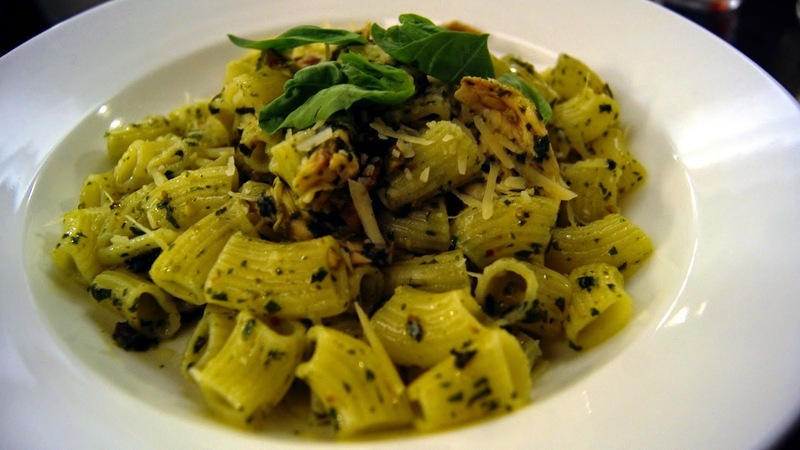 Pasta tossed with home made pesto sauce and shredded cheese. 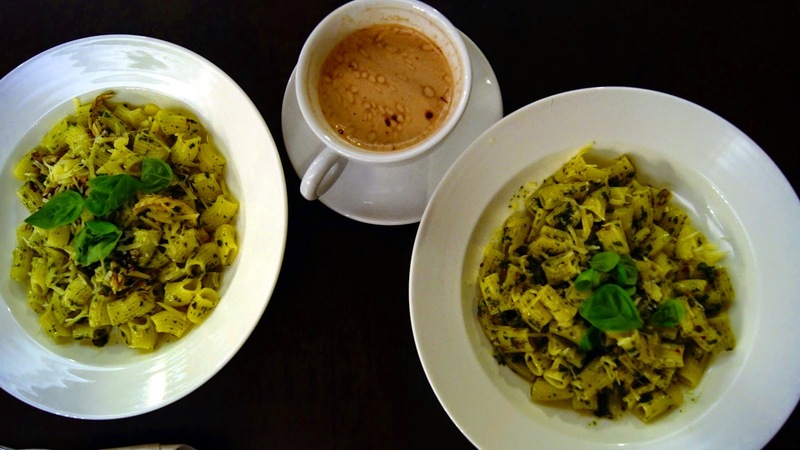 The pesto sauce was just irresistibly aromatic and flavourful. 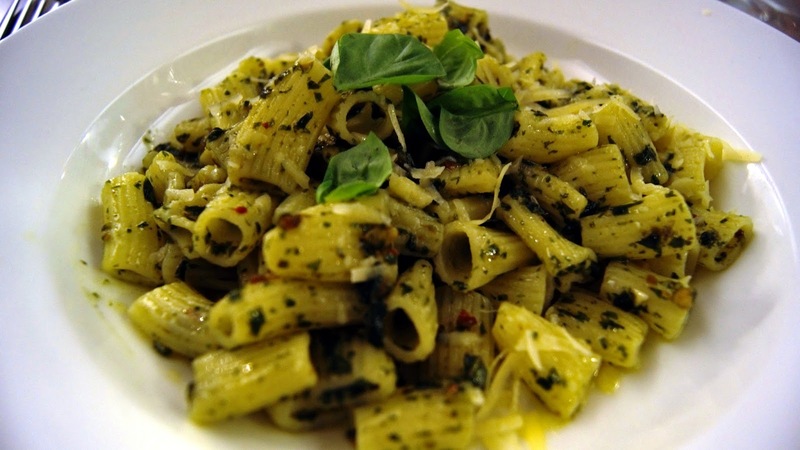 A perfect blend of olive oil, pine nuts, and basil. Each bite packs a punch of flavours, that tickles my taste buds, tempting me to go for another mouth full. I just couldn't have enough of it. 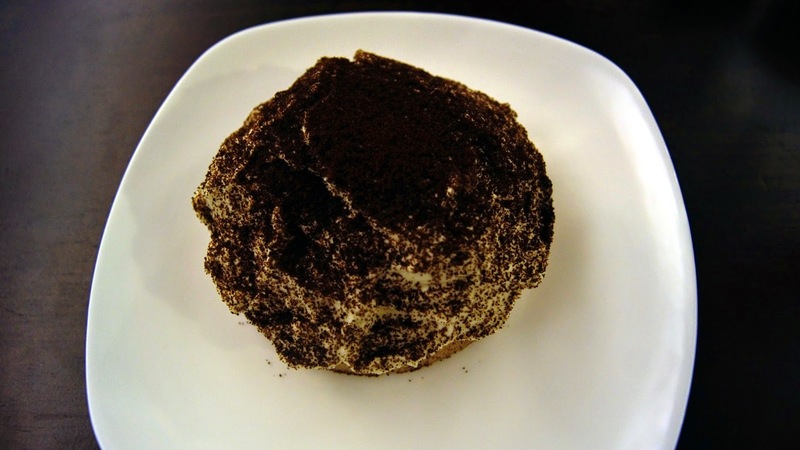 Digestive cookie base, jam packed with bananas, topped with cream & dusted with cocoa/coffee powder. Crumbly base, with the right amount of sweetness and crunchiness, fresh & sweet banana filling, with a creamy and airy top, oh, the perfect dessert to end my perfect night. Just perfect. The Humble Pie Co certainly impressed me, not just with their pie, but with their pastas & Earl Grey Chocolate too.